DID YOU SEE THE LIST of weaponry collected by police after the two shootings in Kamloops a couple of weeks ago? If you missed it, here it is: four sets of brass knuckles, two spring-loaded knives, three machetes, eight axes, one butterfly knife, nine fixed-blade knives, one can of pepper spray, four hatchets, nine folding knives, one magazine for a .22 calibre firearm, one box of .22 calibre ammunition, one empty pistol holster, and one lock picking kit. You’ll notice that there are no actual firearms in that haul. Much of it is stuff you can pick up at the hardware store. 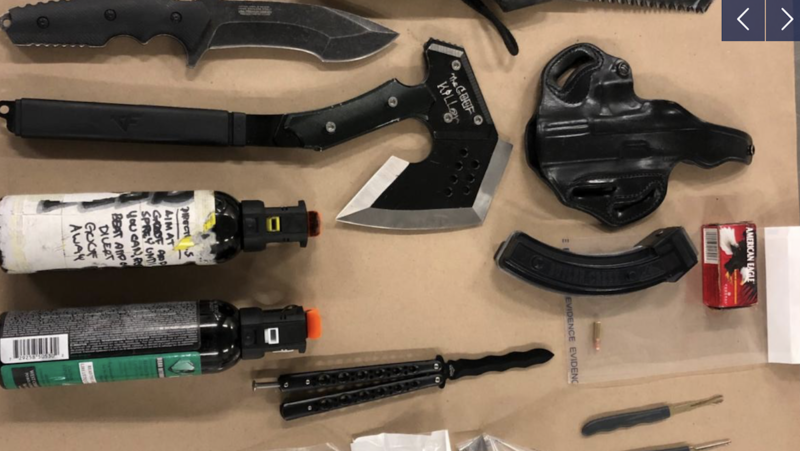 The Combined Forces Special Enforcement Unit, the police team from the Coast that collected it all, noted in a press release that many of the items are “everyday tools for the general public,” but can be used as dangerous weapons in the commission of crime. That, to me, is a real eye-opener, not just the variety of weapons but the magnitude of the weaponry that was confiscated in the short period of four days by stopping 78 vehicles and checking 132 people. We obviously have a mobile army of armed drug-trade personnel out there. My question is, being that the Special Enforcement Unit is so effective when called into action, why wait for a shooting? Why not do regular sweeps, say every few weeks? There were, according to police, 50 officers including RCMP involved in the investigation and the operation aimed at “disrupting” the drug trade and gang activity on those four days. I know it’s a matter of available personnel, but it would be a good place to invest in police resources. A lot more “disrupting” is clearly in order. I think what I hear you saying Mel is that in order to disrupt the underworld of the drug trade, more has to be done to weaken the foundational elements. It seems that the idea of holding off with the smaller players eventually leads to the king pin being taken down. Maybe that notion has been flawed. Like any house, building or bridge, remove the foundation bit by bit and the king pin has no support. It also might send a message to those who want to get involved with street-level selling that such position is no longer going to be tolerated. The fact that so many instruments of violence were found and seized should be a wakeup call to all of us.